The Upic team spent the last two days with 2000+ technology workers and 150+ companies in our region learning, engaging, celebrating, and giving back. We participated in panels, hosted round-tables, mentored college and high school students, and networked with thought leaders from around the region tackling the latest issues and hot topics in innovation and technology. 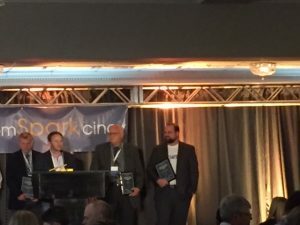 Beside all the great session, content, and vendors available at ComSpark, Lead Magazine also takes the time to honor our tech community. 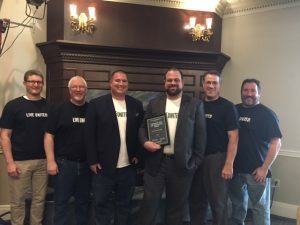 Upic received an award for Corporate Tech and Innovation for creating Community Connect for United Ways. In addition they also honor rising tech stars in our community, women in technology, who’s who in high school tech, and leading collegiate tech students. I think one of the most important piece of the conference is that we invite college and high school students to participate in this event. As a leader in the technology community I am committed to helping our community retain it’s IT talent and foster and encourage our high school students to consider technology as a career. There is not any event in the Cincinnati area like ComSpark, it shows how truly vibrant and alive our tech community is in our region. This event is in it’s second year and has grown each year, I am excited for what is in store for next year!